The term Artificial Intelligence or AI is applied when a machine mimics cognitive functions that humans associate with the human mind. Cognitive refers to the set of all mental abilities and processes related to knowledge, attention, memory and working memory, judgment and evaluation, reasoning and computation, problem solving and decision making, comprehension and production of language, etc. Artificial intelligence has become pervasive in business in every industry where decision making is being fundamentally transformed by thinking machines. The need for faster and smarter decisions and the management of big data that can make the difference is what is driving this trend. The convergence of big data with AI is inevitable as the automation of smarter decision making is the next evolution of big data. When the field of artificial intelligence was founded more than five decades ago, computer scientists could only dream of the type of capabilities that an average consumer might now take for granted. We are living in a golden age of AI advances. Every day, it seems like computer scientists are making more progress in areas such as computer vision, deep learning, speech and natural language processing, areas of AI research that have challenged the field’s foremost experts for decades. The world’s largest technology companies hold the keys to some of the largest databases on our planet. Much like goods and coins before it, data is becoming an important currency for the modern world. The data’s value is rooted in its applications to artificial intelligence. Whichever company owns the data, effectively owns AI. 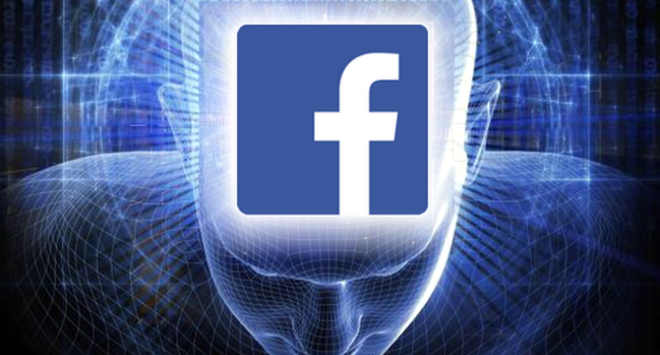 Companies like Facebook, Amazon, Google, IBM, Microsoft, DeepMind and Apple have a ton of data. 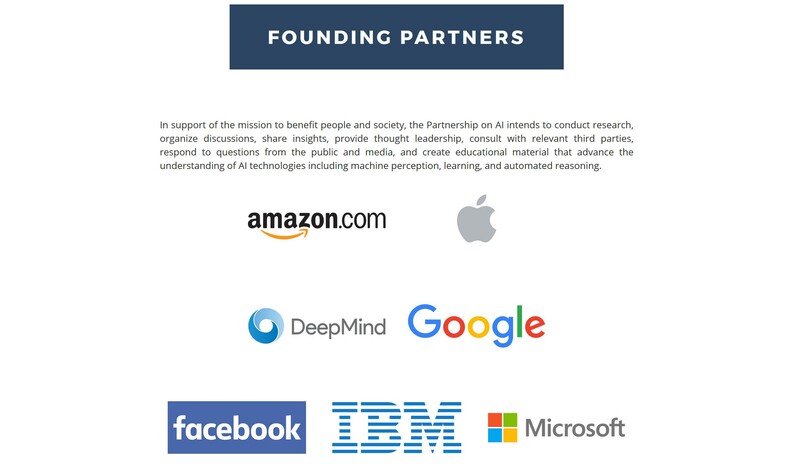 These companies announced the launch of the new Partnership on AI. The group is tasked with conducting research and promoting best practices. 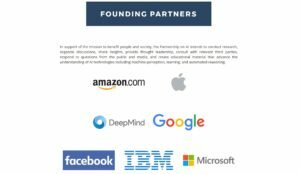 Practically, this means that the group of tech companies will come together frequently to discuss advancements in artificial intelligence. The group also opens up a formal structure for communication across company lines. It’s important to remember that on a day-to-day basis, these teams are in constant competition with each other to develop the best products and services powered by machine intelligence. 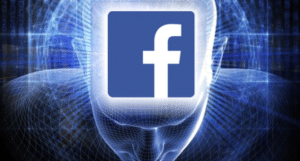 Facebook Artificial Intelligence Researchers (FAIR) seek to understand and develop systems with human level intelligence by advancing the longer-term academic problems surrounding AI. FAIR covers the full spectrum of topics related to AI, and to deriving knowledge from data: theory, algorithms, applications, software infrastructure and hardware infrastructure. CommAI is a project aiming at developing general-purpose artificial agents that are useful for humans in their daily endeavours. CommAI is also an evaluation framework developed with that goal in mind, where a learning agent must communicate with a scripted teacher in order to solve a never-ending stream of tasks. Language-first assigning it tasks, understanding the information it returns, and teaching it new skills. The tasks are presented to the learning algorithm in the form of linguistic expressions, and the learner proposes its solution, in turn, using linguistic expressions. Reward-based feedback you can provide a reward signal to the learner whenever it successfully completes the task rather than giving it explicit supervision on how it should have had solved it. Life-long learning a useful AI should be flexible, rather than splitting the data to be learnt into train and test splits, as commonly done today in Machine Learning, CommAI exposes the learning algorithm to a continuous stream of tasks, ultimately evaluating it by the average cumulative reward it achieved. General symbol-stream interface the learning algorithm communicates with the scripted teacher through a stream of bits or any other finite alphabet, exchanging one bit or symbol per time step. Stack RNN is a project gathering the code from the paper Inferring Algorithmic Patterns with Stack-Augmented Recurrent Nets. Stack RNN extends the Recurrent Neural Networks (RNN) with a stack to allow them to learn sequences which require some form of persistent memory. 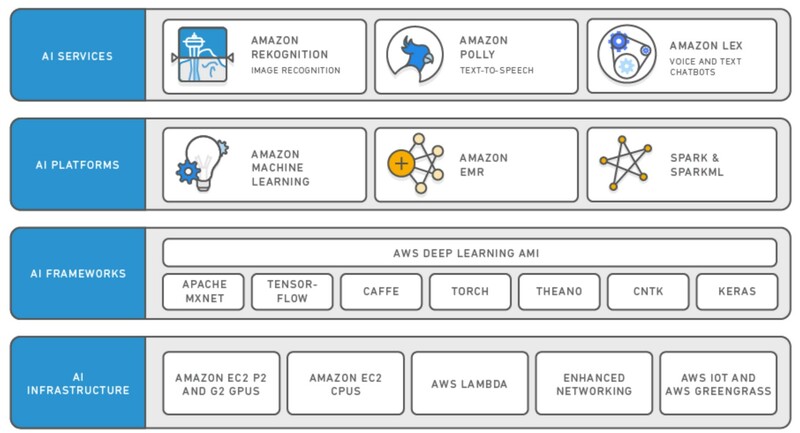 Amazon AI services bring natural language understanding (NLU), automatic speech recognition (ASR), visual search and image recognition, text-to-speech (TTS), and machine learning (ML) technologies within the reach of every developer. 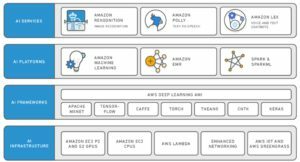 The AWS Deep Learning AMIs equip data scientists, machine learning practitioners, and research scientists with the infrastructure and tools to accelerate work in deep learning, in the cloud, at any scale. You can quickly launch Amazon EC2 instances on Amazon Linux or Ubuntu, pre-installed with popular deep learning frameworks to train sophisticated, custom AI models, experiment with new algorithms, or to learn new skills and techniques. The Deep Learning AMIs let you create managed, auto-scaling clusters of GPUs for large scale training, or run inference on trained models with compute-optimized or general purpose CPU instances, using Apache MXNet, TensorFlow, the Microsoft Cognitive Toolkit (CNTK), Caffe, Caffe2, Theano, Torch and Keras. Google’s goal is to organize the world’s information and make it universally accessible and useful, and AI enables to do that in incredible new ways, solving problems for users. AI enables searching for photos of people you love, breaking down language barriers, or helping you get things done with your own personal digital assistant. TensorFlow is a fast, flexible, and production-ready open source machine learning library for research and production. It supports a variety of applications, with particularly strong support for training and inference with deep neural networks. TensorFlow operates on different devices, from smartphones to data centers. Google Cloud’s AI provides modern machine learning services, with pre-trained models and a service to generate your own tailored models. Major Google applications use Cloud machine learning, including Photos (image search), the Google app (voice search), Translate, and Inbox (Smart Reply). The platform is available as a cloud service. 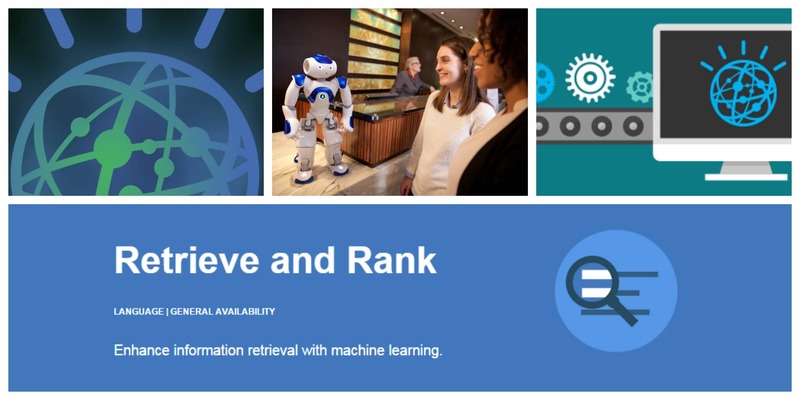 IBM Research Labs around the globe, we envision and develop next-generation systems that work side-by side with humans, accelerating the abilit to create, learn, make decisions and think. Watson has evolved from an IBM Research project to an advanced AI platform, exploring new technical capabilities, collaborating on ethical practices or applying Watson technology to cancer research, financial decision-making, oil exploration or educational toys. 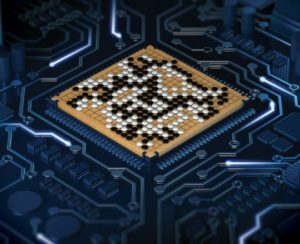 AI Hardware advancing new hardware for cognitive systems with a focus on neuromorphic computing, phase change memory GPU acceleration, novel hardware architectures and more. Knowledge extraction capturing knowledge extracted from varied data sources such as text, speech, image and video, and representing it in common, easy-to-query forms. Natural language text understanding allowing cognitive systems to identify and interact with textual data, including text features, classification, semantic similarity, semantic parsing and natural language generation. Visual comprehension giving cognitive computers the expertise to understand images, video and other multimedia using parsers, feature identifiers, classifiers, and new methods. Speech and audio enabling efficient and meaningful communication between humans and machines through speech analysis and speech generation. Conversational Systems allowing cognitive systems to take into account any necessary background, intent, context, and techniques to remove ambiguity and user preferences when interacting with a person. Deep Learning as a Service developing fundamental capabilities in natural language understanding, visual comprehension, deep domain understanding and learning to reason. 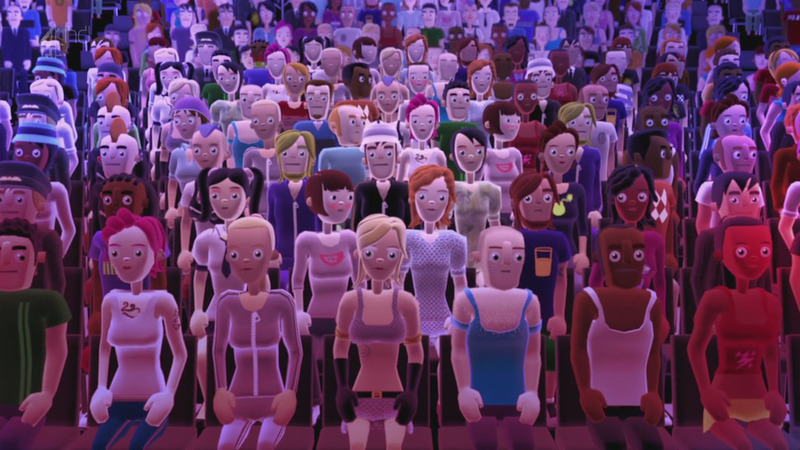 Embodied Cognition creating artificial agents such as avatars, objects, robots and spaces that engage with humans and act as partners that enhance our ability to perform cognitive tasks. Microsoft has been in the artificial intelligence game for a long time. They’ve used it to build speech processing and Microsoft is one of only two companies that created a world index of the web: Bing, which takes a lot of AI. Microsoft’s deep investments in the field are advancing the state of the art in machine intelligence and perception, enabling computers that understand what they see, communicate in natural language, answer complex questions and interact with their environment. In addition, the company’s researchers are thought leaders on the ethics and societal impacts of intelligent technologies. Machine learning developing and improving algorithms that help computers learn from data to create more advanced, intelligent computer systems. Human language technologies linking language to the world through speech recognition, language modeling, language understanding, spoken language systems, and dialog systems. Perception and sensing making computers and devices understand what they see to enable tasks ranging from autonomous driving to analysis of medical images. 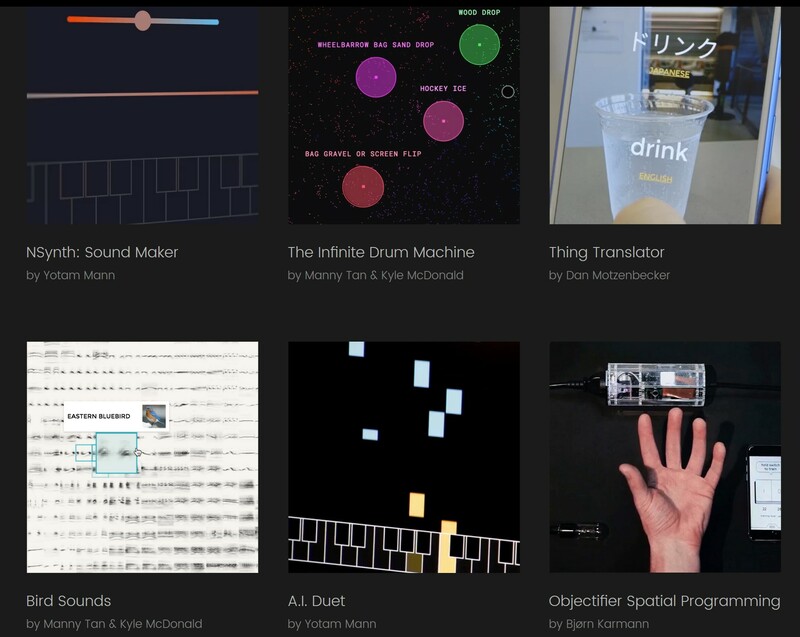 AI, people, and society examining the societal and individual impacts on the spread of intelligent technologies to formulate best practices for their design. 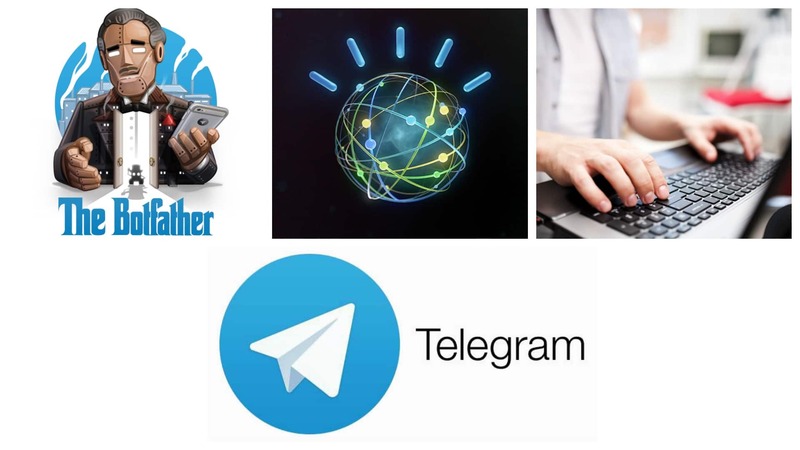 Systems, tools and platforms integrating intelligent technologies to create interactive tools such as chatbots that incorporate contextual data to augment and enrich human reasoning. Integrative intelligence weaving together advances in AI from disciplines such as computer vision and human language technologies to create end-to-end systems that learn from data and experience. Cyberphysical systems and roboticsDeveloping formal methods to ensure the integrity of drones, assistive robotics and other intelligent technologies that interact with the physical world. 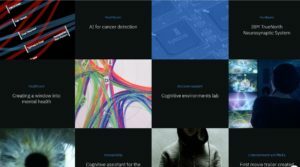 Human AI collaboration harnessing research breakthroughs in artificial intelligence to design technologies that allow humans to interact with computers in novel, meaningful and productive ways. Decisions and plans reasoning about future events to enable informed collaborations between humans and intelligent agents. 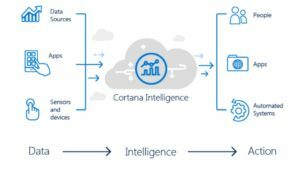 To simplify the development of AI systems you can use Cortana Intelligence: a collection of fully managed big data and analytics services that can be composed together to build sophisticated enterprise-grade AI and analytics applications on Azure. 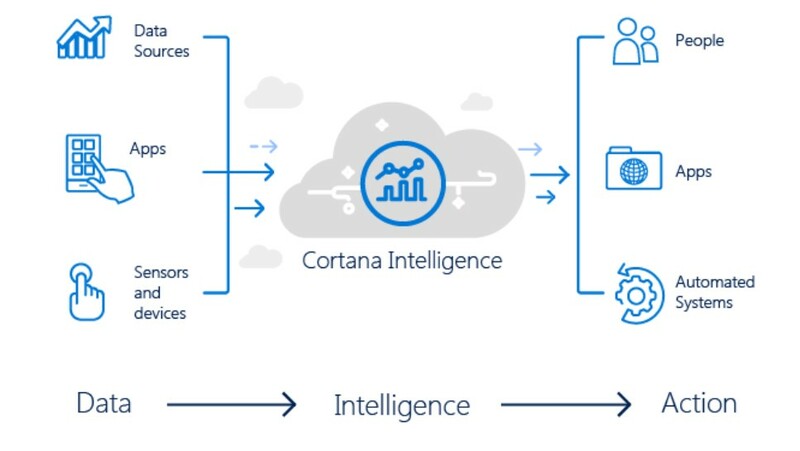 Moreover with Cortana Intelligence solution templates that make it easy to compose services and implement common design patterns. These solutions templates have been built on best practice designs motivated by real-world customer implementations done by our engineering team, and include Personalized Offers (for example, for retail applications), Quality Assurance (for example, for manufacturing applications), and Demand Forecasting. These templates accelerate your time to value for an intelligent solution, allowing you to deploy a complex architecture within minutes, instead of days. 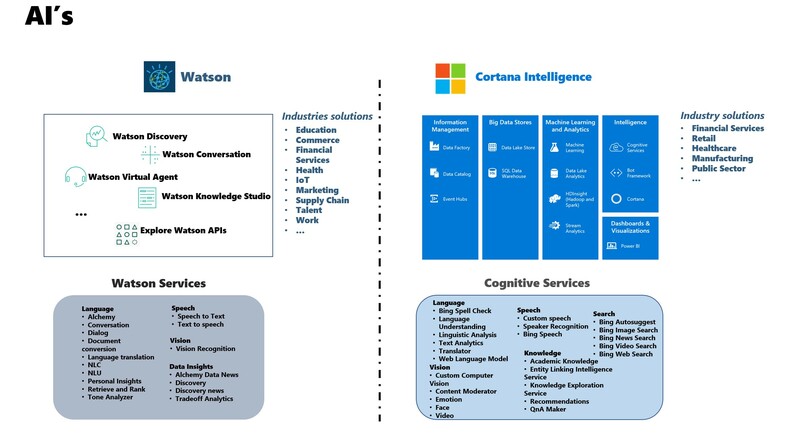 Get started today by going to the Azure gallery for Cortana Intelligence solutions. DeepMind is on a scientific mission to push the boundaries of AI, developing programs that can learn to solve any complex problem without needing to be taught how. 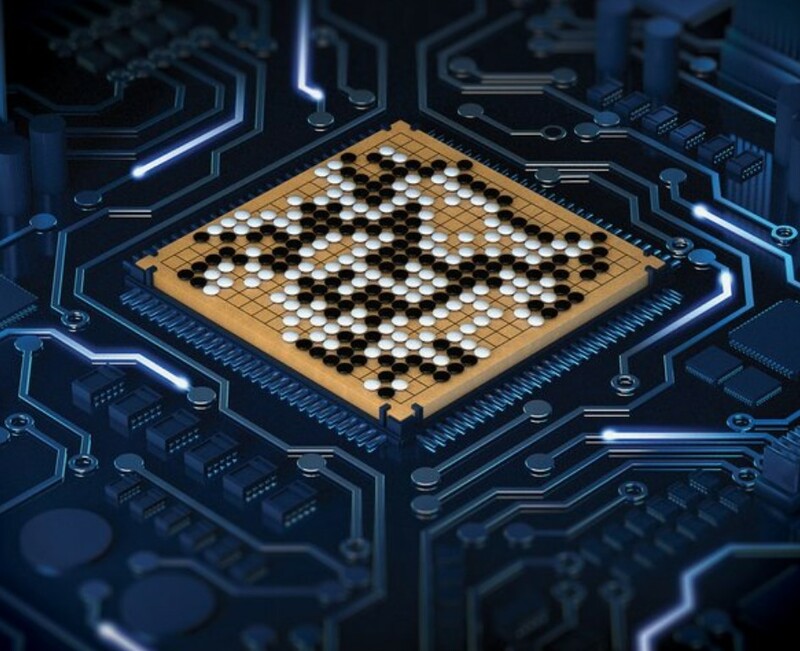 AlphaGo is the first computer program to defeat a professional human Go player, the first program to defeat a Go world champion. AlphaGo’s first formal match was against the reigning 3-times European Champion, Mr Fan Hui, in October 2015. Its 5-0 win was the first ever against a Go professional. DQN: a system which combines Deep Neural Networks with Reinforcement Learning at scale for the first time, and is able to master a diverse range of Atari 2600 games to superhuman level with only the raw pixels and score as inputs. For artificial agents to be considered truly intelligent they should excel at a wide variety of tasks that are considered challenging for humans. Until this point, it had only been possible to create individual algorithms capable of mastering a single specific domain. With our algorithm, we leveraged recent breakthroughs in training deep neural networks to show that a novel end-to-end reinforcement learning agent, termed a deep Q-network (DQN), was able to surpass the overall performance of a professional human reference player and all previous agents across a diverse range of 49 game scenarios. This work represents the first demonstration of a general-purpose agent that is able to continually adapt its behavior without any human intervention, a major technical step forward in the quest for general AI. Apple is slowly starting to make a bit of noise about its work on artificial intelligence. The company’s new website, titled “Apple Machine Learning Journal,” is a bit grander than a blog. But it looks like it will have the same basic function: keeping readers up to date in a relatively accessible manner. Core ML: a new foundational machine learning framework used across Apple products, including Siri, Camera, and QuickType. 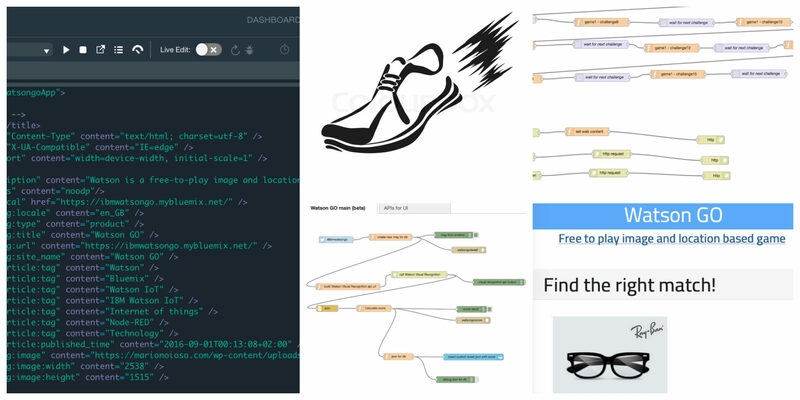 Core ML delivers blazingly fast performance with easy integration of machine learning models enabling you to build apps with intelligent new features using just a few lines of code. You can easily build computer vision machine learning features into your app. Supported features include face tracking, face detection, landmarks, text detection, rectangle detection, barcode detection, object tracking, and image registration. Moreover the natural language processing APIs in Foundation use machine learning to deeply understand text using features such as language identification, tokenization, lemmatization, part of speech, and named entity recognition.